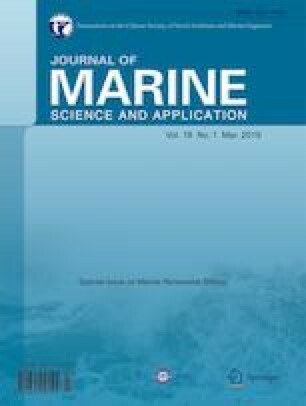 As the energy supply problem worsens, the development and utilization of marine renewable energy have become a research hotspot. The development of wave energy is moving from the near shore to the distant sea. The power-generation efficiency of a single two-floating-body wave-energy converter is relatively low. To fully utilize wave energy and improve the wave-energy capture rate of a fixed sea area, arranging a two-floating-body wave-energy converter array is necessary. This paper first introduces the basic theory of multi-floating flow field, time-domain calculation method, and influence factor of the wave-energy converter array. Then, the development of AQWA software in Fortran language considers the effect of power takeoff. A calculation method based on ANSYS–AQWA is proposed to simulate the motion of the oscillating-buoy two-floating-body wave-energy converter. The results are compared with the experimental results from the National Renewable Energy Laboratory. Finally, the ANSYS–AQWA method is used to study the power characteristics of simple and complex arrays of wave-energy converters. The average power generation of simple arrays is largest at 0°, and the average power generation of complex arrays does not change with the wave direction. Optimal layout spacing exists for the simple and complex arrays. These findings can serve as a valuable reference for the large-scale array layout of wave-energy converters in the future. • As the energy problem worsens, the array layout of the two-floating-body wave-energy converter becomes an inevitable trend. • The influence of power takeoff is considered through Fortran’s secondary development. • Two different array layouts (simple and complex) are proposed, and corresponding conclusions are drawn. The layout of complex arrays provides insights into the design of subsequent multi-energy complementary energy-island platforms. Foundation item: Supported by the National Natural Science Foundation of China under Grant Nos. 5171101175, 11572094, 51809083, and 51579055.